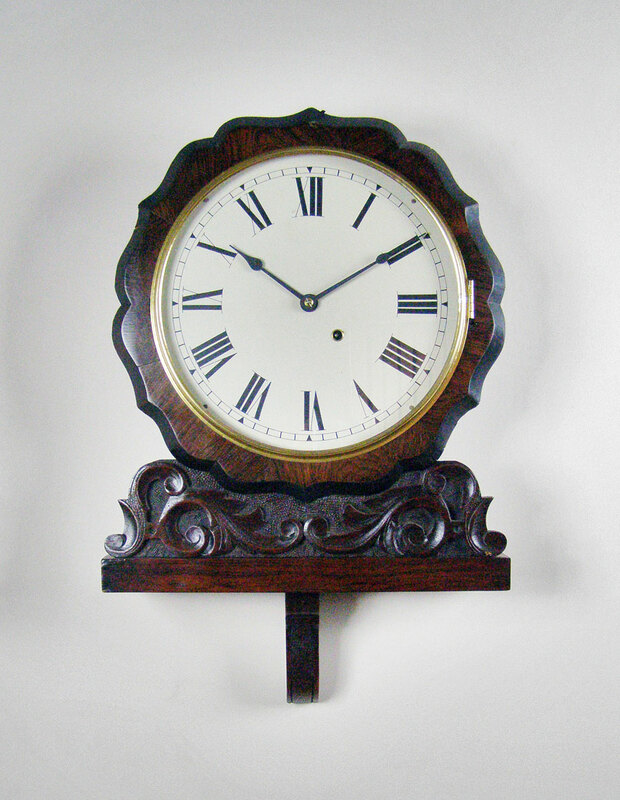 This is a Rosewood wall clock by Seth Thomas from America with a 12 inch (30cm) painted dial and spun brass bezel. 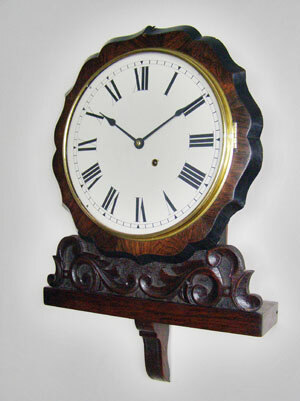 The dial is surrounded by scalloped edges and carving to the base. 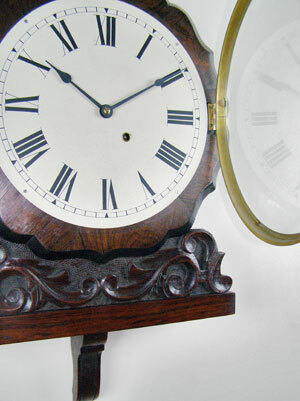 This is an eight-day timepiece.